Napoleon’s Madrid outdoor gas Patioflame® table series is perfect for any outdoor living space featuring a rustic woven-top design and neutral finish. Reflecting the ambiance of flame with the glittering topaz glass ember bed, this comfortable and functional piece of outdoor furniture will become the focal point of your outdoor oasis. 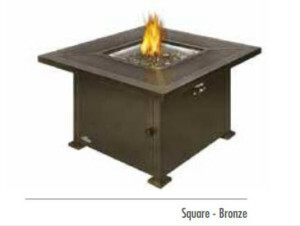 The rustic woven look of the tabletop, with the rustic bronze finish will match wicker, wood, and stone furniture. Constructed of rust-free aluminum for lightweight mobility and corrosion resistance. A single panel door provides easy access to a propane tank. 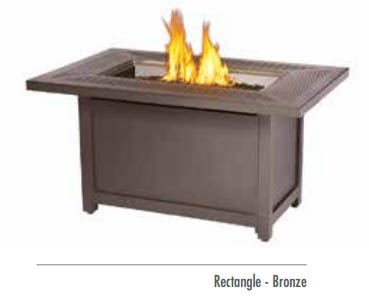 Complete with matching burner cover to transform your Patioflame® into a functional table for all your entertaining needs.